« Be A Part Of The Action In 2013 – Join The Staff At DolphinsGab Today! – Is the often-injured wide receiver Danny Amendola already struggling to stay healthy in New England? Morgan Smith breaks down Amendola’s status here. – Washington Redskins star quarterback Robert Griffin III took a subtle shot at Patriots head coach Bill Belichick on Wednesday. – Rookie quarterback Geno Smith had an impressive practice for the Jets on Wednesday and is now likely to start on Saturday against the Giants. – Andy Green questions if the Jets have a top-five defense and updates the statuses of fullback Lex Hilliard and quarterback Geno Smith. – The Sports Gab Network is currently looking to hire someone to cover the Buffalo Bills at Bills Gab this season and beyond. Email matt@gridirongab.com to apply. – How much tight end production do the Dolphins need this season with Dustin Keller sidelined for the season? I break it down here. – Miami Dolphins 53-Man Roster Snapshot 3.0 – My final projected snapshot until I make my official prediction sometime next week. 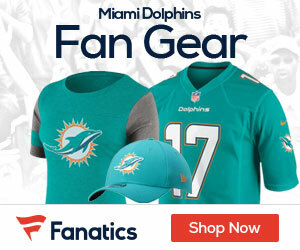 – Dolphins Gab is also looking to hire an additional one or two writers to help out with the team’s coverage this season. Email matt@gridirongab.com to apply.